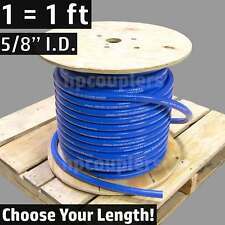 1/4" ID FlexFab 5526 Blue Silicone Heater Hose 6mm 350F Radiator Coolant .25"
5/8" ID FlexFab 5526 Blue Silicone Heater Hose 16mm 350F Radiator Coolant .63"
Easy to install and portable, solar powered, needs no batteries. Chip the auto vent cooler deluxe onto the window. Next size the weather stripping fit in both ends of the auto vent cooler deluxe. Slide the remaining weather stripping onto the opposite side of the window and work your way to the auto vent cooler deluxe. Fit for air hose tube, water pipe, fuel pipe, silicone vacuum hose, etc. 6 Sizes Spring Clip Distinctions Material: 65 Mn Spring Steel. USA, Canada, United Kingdom, Austrilia, France, Germany, Spain, Ireland, Italy, Others. Smooth on Inside and Will Not Bite into Hose. Material: Stainless Steel 201. You will find a large selection of high quality automotive accessories. ID : 1/4" (0. 25") or (6mm). Item Includes: Sold as 1 foot, if you need 1 m, just buy 3 feet ! We have the best prices because we are factory that can save a lot of middle circulation costs. Application: 1L Aluminum Coolant Overflow Tank. 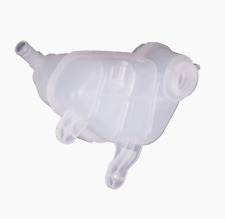 Universal High quality aircraft 6061-T6 aluminium coolant overflow tank. Constructed from fully TIG welded and high grade mirror polished finish. 6, Material:6061-T6 aluminum alloy. Slim design provides excellent engine bay clearance. 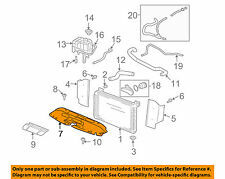 Help to cool the entire engine bay, including radiator, a/c system, intercooler, oil system and transmission. Function: Cool the Entire Engine Bay, including Radiator, A/C System, Intercooler, Oil System, and Transmission. 4pcs Set Aluminum Coolant Flange Upgrade Kit for VW MK4 Golf Jetta GLI GTI 337 1.8T For Audi TT. 1 x Cooling Hose Flange, Mk4 1.8T (Cast Aluminum). 1 x Coolant T-Fitting, Mk4 1.8T (Cast Aluminum). 1 x Thermostat Housing Cover, Mk4 1.8T / 2.0L (Cast Aluminum). Your Part Shipped Fast & Free US Multiple Warehouses! Escalade ESV. Escalade EXT. Avalanche 1500. Silverado 1500. Silverado 3500. Silverado 3500 HD. Silverado 1500 Classic. Silverado 1500 HD. Fit for air hose tube, water pipe, fuel pipe, silicone vacuum hose, etc. Fit for hose air hose, water pipe, fuel line, silicone hose, etc. Material: 65MN Spring Steel. Material: high quality spring steel 65Mn. Stainless Steel T-bolt Clamp Part For Pipe Silicone Hose Coupler 3'' 72-80mm ! 1 x T-bolt Clamp. Material: Stainless Steel. 2012-2015 R58 MINI Cooper and Cooper S Coupe. 2009-2015 R57 MINI Cooper and Cooper S Convertibles. 2007-2013 R56 MINI Cooper and Cooper S Hardtop. 2008-2014 R55 MINI Cooper and Cooper S Clubman. 2013-2016 R61 MINI Cooper and Cooper S Paceman. Trending at C $32.17eBay determines this price through a machine-learned model of the product's sale prices within the last 90 days. We have more than 40 years of combined automotive experience. We will do our best to assist you in anyway we can and provide you with the best possible buying experience. We reply within 24 – 48 hours or earlier. Trending at C $28.43eBay determines this price through a machine-learned model of the product's sale prices within the last 90 days. This Full Aluminum Radiator is designed to hold twice as much coolant as the factory radiator. 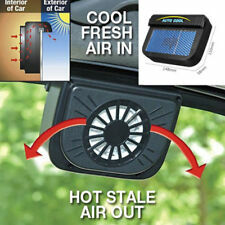 It's built tough for improved reliabilitity, airflow, and cooling, while still offering easy installation. The stronger header tanks eliminate the flawed factory radiator design that leads to cracking and leaking. Time to say good-bye to the old, cracked radiator and rock the road under any extreme weather conditions. 16" Electric Curved Blade Reversible Cooling Fan 12v 3000cfm Thermostat Kit. This 12 volt fan "high performance" and would be a quality addition to any vehicle.This fan is very powerful,light weight,and efficient and has a computer balanced blade for smoother operation. 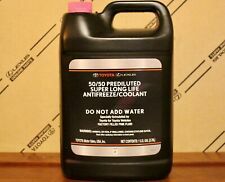 Improves the Cooling to Your Entire Engine Bay Including Radiator, A/C System, Intercooler, Oil System and Transmission. 2x 12" Black Electric Radiator Cooling Fan Assembly Kit. 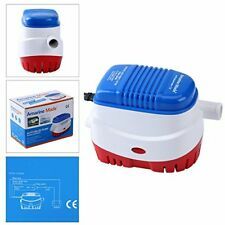 12" Universal 12V 80W Straight Blade Cooling Fan for Truck/Van/Trailer/RV/Pickup. 2001-2017 COROLLA 1.8L. TOYOTA OEM FACTORY RADIATOR CAP. Parts must be new and unused in the original box. All references to the OEM are for identification purposes only. Unless otherwise stated. We will try our best to resolve any kind of issue on expedite basis. In case you feel that there is an error or mistake. 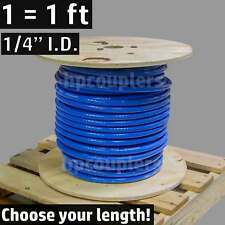 Blue silicone vacuum hose. ID : (6mm inner ). Item Includes: Sold as 1 foot, if you need 1 m, just buy 3 feet ! We have the best prices because we are factory that can save a lot of middle circulation costs. 2008-2013 for BMW 135i 3.0 L6 E82. 2013-2013 for BMW 135i 3.0 L6 E82. 2007-2008 for BMW 335xi 3.0 L6 E90, E92. 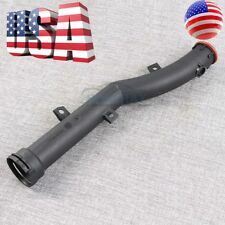 2007-2013 for BMW 335i 3.0 L6 E90, E92, E93. 2009-2013 for BMW 335i xDrive 3.0 L6 E90, E92. 1L Aluminum Coolant Overflow Tank. Universal High quality aircraft 6061-T6 aluminium coolant overflow tank. Constructed from fully TIG welded and high grade mirror polished finish. 6, Material: 6061-T6 aluminum alloy. 185 To 175 Degree Electric Engine Cooling Fan Thermostat Temperature Switch 3/8"
1 Pc Fan Thermostat Temperature Switch with hexagonal nut. Fan On Temperature (F): 185 degrees F. Fan Off Temperature (F): 175 degrees F. Dolls & Bears. Pacakge Includes 428 429 460 351C 351M 400M 273 318 340 360 361 383 400 413 426W 440 455 330 326 ENGINES. SPAL 185FH 185 Degree THERMOSTAT Thermo-Switch Relay & Wiring Harness Kit. SPAL relay wiring kits are a must-have when installing an electric fan. -185 Degree Thermostat. -Designed to safely integrate with OEM wiring. Smooth on Inside and Will Not Bite into Hose. 12V Auto Cars Diagnostic Service System Tools Fuel Injector Tester 4 Pulse Modes. LED Brake Light Tail Rear Light High Level Third for VW Volkswagen Caddy 02-08. 2003 Nissan Murano 3.5l V6. 2004 Nissan Murano 3.5l V6. 2005 Nissan Murano 3.5l V6. 2007 Nissan Murano 3.5l V6. 2006 Nissan Murano 3.5l V6. Drop in - direct fit for easy installation. Cars applications. This universal Chevy radiator makes it easy for budget-minded racers to get a professional-quality aluminum racing radiator. Lower hose neck is slightly angled. Radiator width listed includes the side tanks and are the outside to outside width. 1994|Nissan|Sentra|E Sedan 2-Door|1.6L 1597CC 97Cu. 620-406 FA70055 NI3112102 REA51100017 21481-58Y00. Blue silicone vacuum hose. ID : 1/4" (0.25") or (6mm). Item Includes: Sold as 1 foot, if you need 1 m, just buy 3 feet ! We have the best prices because we are factory that can save a lot of middle circulation costs. PERRIN ALUMINUM PULLEY COVER KIT (RED). AUTHENTIC PERRIN PRODUCT, MADE IN USA. 2002-2014 WRX. 2004-2017 STi. -COLOR -RED. Warranty will be void for improper installation. They are not intended to be used for regular driving conditions. Smooth on inside and will not bite into hose. Made of high quality stainless steel 304 material. Material:stainless steel 304. Model:stainless steel throat card. 1 x turbo clamp. No processing customization. Fast ship! Hassle free returns! Free shipping both way! Coolant Temperature Sensor. This is Fan Tem Switch, Not Engine Coonlant Water Tem Sensor ! ACURA CL 2003-2002 All. ACURA CL 1999-1997 All. ACURA INTEGRA 2001-1993 All. ACURA MDX 2002 All. ACURA RSX 2006-2002 All. DODGE CORONET. CHAMPION 2 ROW RADIATOR. NEW COMPLETE ALL ALUMINUM RADIATOR. DODGE CHALLENGER. NEW BLEMISHED ALL ALUMINUM RADIATOR. THIS RADIATOR HAS 22" WIDE CORE AND TOP HOSE PASSENGER SIDE. RADIATOR CAP INCLUDED. NEW OAW G9670B Water Pump. 4.8L 5.3L (non-VVT Vortec Engine). CHEVROLET (265) 2007-2009. GMC (229) 2007-2009. SAAB (5) 2007-2009. 2009 V8-325ci 5.3L F/I Vin L. H3T (2) 2009-2009. 2008 V8-325ci 5.3L F/I Vin L.
Chevy Chevelle L6 V8 1968-1973 automatic. Radiator cap included. All aluminum core and tank. Core size28.35"×16.93"×2.2" (720 mm×430 mm×56 mm) 3 rows. The core is welded in vacuum brazing furnace, no epoxy.